Mid frame turbochargers are the absolute largest units with T4 flange! 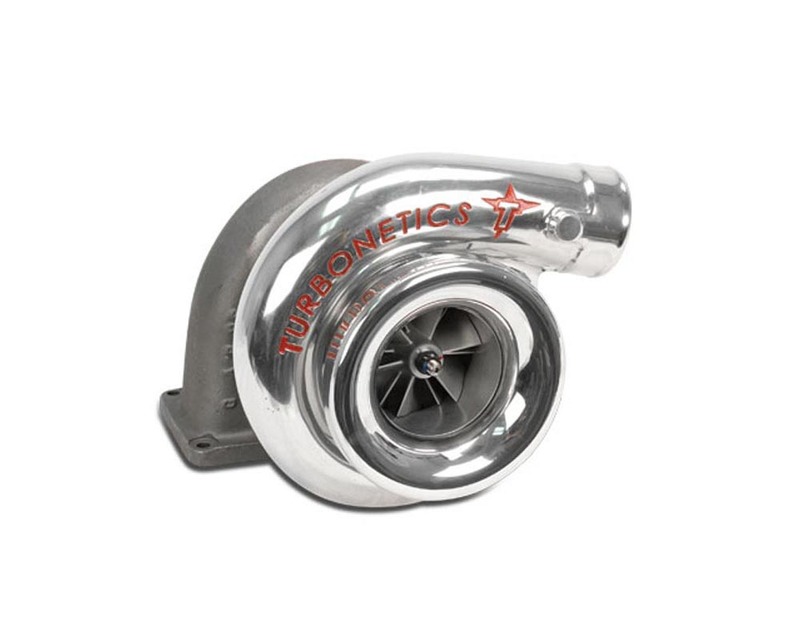 Featuring Turbonetics Ceramic Ball Bearing as a standard equipment, Mid frame turbochargers will meet and exceed the needs of high horsepower racers and crazy street applications! ?Sharing a bearing system similar to the Y2K series, Mid frame units ensures extreme durability and robust performance. 4 ? V-band discharge standard. HP-series 72mm, 76mm and 82mm compressor wheels are available for Mid frame units.Heat is a turbochargers enemy, too much is the biggest strain on a turbo and can often cause them to fail, especially larger turbos such as the Midframe series. Thats why Turbonetics Midframe series feature ceramic ball bearings. Ceramic ball bearings are more resistant to heat meaning a more reliable, better performing, longer lasting turbocharger.